A program with lots of style and a stellar reputation has recently seen the largest the junior class in its history, and the growth doesn’t seem to be slowing down. 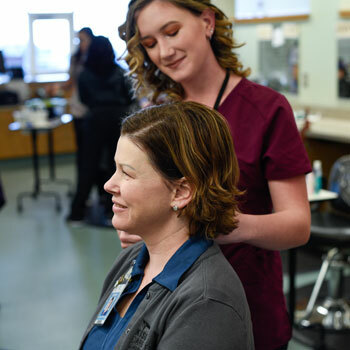 The cosmetology program at the KISD Career Center has been educating and guiding future stylists and business owners for years, and this year 86 juniors will be working toward taking their certification test during their senior year. Cosmetology teacher Shanna Wood-Casey explained why the program has been so successful all these years. “The market for being a stylist is so big,” she said. “I call it recession proof because everyone is always going to need a haircut. The only prerequisite class that is required before entering the program is Cosmetology I. After completing that, students can enter the two-year program. 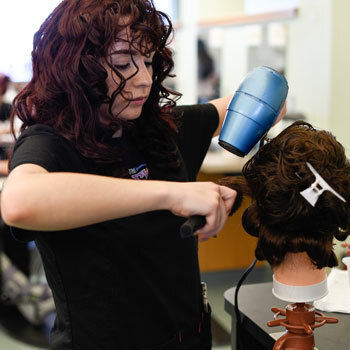 Students can either be a morning or afternoon student, spending three hours a day in the salon, working towards their 1,000 hours that they have to acquire before registering for their written and hands-on test. Students get hours through afterschool seminars, where local business owners come in and teach about a certain skill. They also get to test out their skills on real clients that come to the school’s salon during school hours. 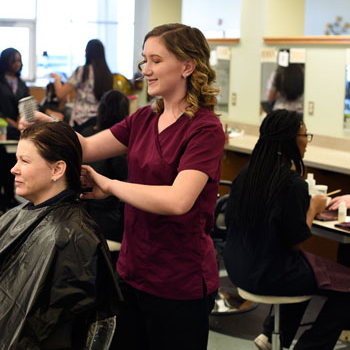 Senior cosmetology student Grace Skinner recently had a walk-in ask for a haircut, Executive Director of Career and Technical Education programs Nancy Duran. “My favorite part of the program has been getting to work with actual clients,” she said while trimming Duran’s hair. 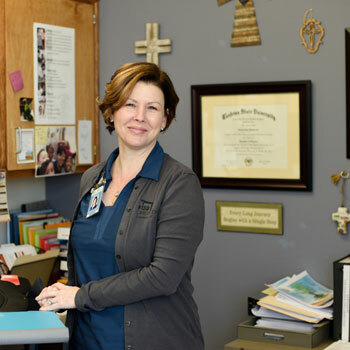 Skinner has been cutting her mom’s hair for years, so getting into cosmetology was an obvious choice, but she also wants to continue on to college and learn more about the business side of the industry. At the end of the year, the seniors sign up for the exam and prepare to take the timed 110 technical exam. From there, on a separate day, they complete a hands-on task. The Salon is open Tuesdays, Thursday and Fridays during school hours. For more information about the Career and Technical Education programs offered by Killeen ISD, please click here.